If you ever want to know the truth about the Faces, you need to read this book! It is like sitting in a pub listening to the best storyteller on earth! A riotously funny, fiercely energetic romp, this no-holds-barred autobiography takes readers through the highs and lows of an extraordinary career, chronicling nearly four decades of dynamic music history. 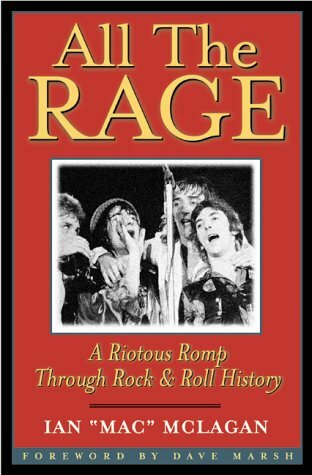 Written by an enthralling raconteur, the book covers the sixties' British R&B explosion and Mac's work with the Small Faces; the seventies' loose and boozy rave-ups of The Faces with Rod Stewart; the eighties, playing keyboards with Bonnie Raitt, Bob Dylan, and The Rolling Stones; and the nineties, tickling the ivories behind Melissa Etheridge, Bruce Springsteen, Buddy Guy, and Billy Bragg. In colorful descriptions of life on and off the road, including moving notes about the deaths of friends Ian Stewart, Steve Marriott, Keith Moon, and Ronnie Lane, McLagan sets a standard for compelling, behind-the-scenes storytelling that other musicians will be hard pressed to match. A transplanted Englishman, Ian "Mac" McLagan is now a resident of Austin, Texas. 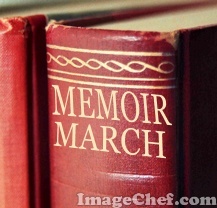 Dave Marsh, author of many books about popular music, is one of America's most respected rock critics. He lives in Norwalk, Connecticut. Don't buy this book from Amazon, get it straight from the author at his site and he will even autograph it for you. Unfortunately, it is out of stock right now, but keep checking back! I would love this book, my dad and I used to play games about rock, so this would be neat.